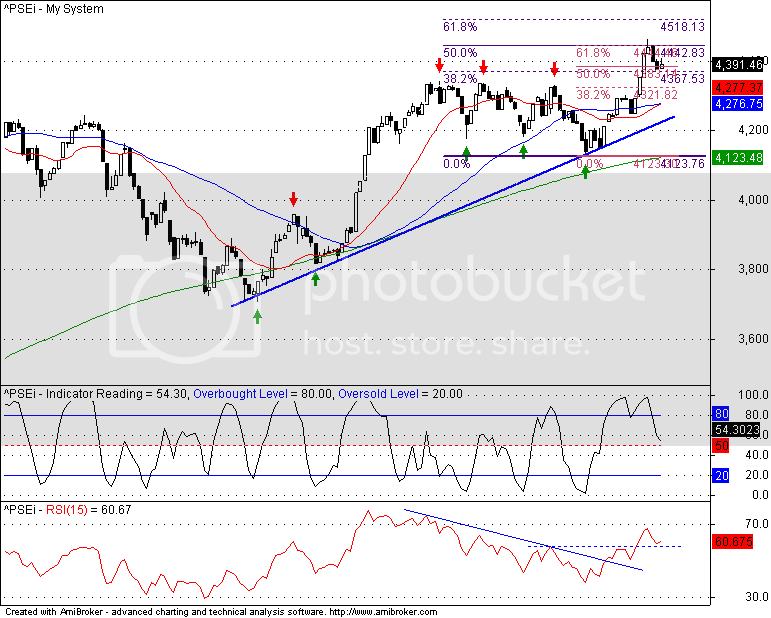 Let's see how it reacts sa PRZ (potential reversal zone) ni Bearish Crab. Nafefeel ko pa rin ang strength ng PSEi kahit down siya today... si mpi, mbt, fli, agi, and meg fight hard mga bulls nila kahit malakas pwersa ng mga bears. 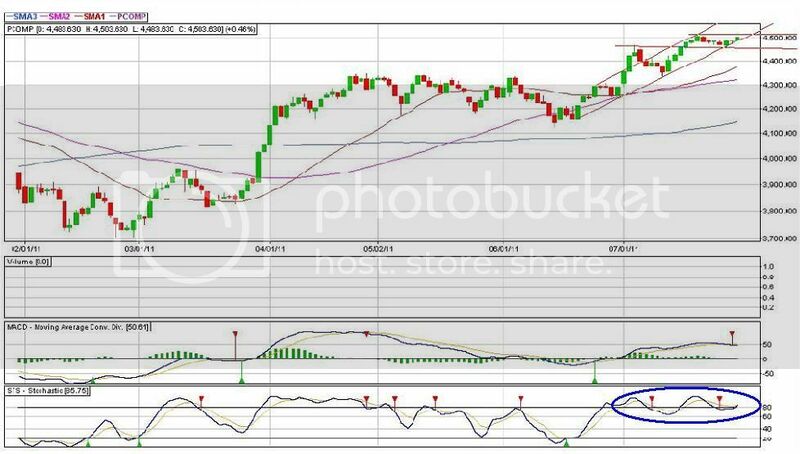 Lopez Stocks and Mining Stocks still strong despite the index is down. DOW is currently 56.2 points up as of this writing. Private-sector payrolls rise by 157,000 in June. MANILA, Philippines - The Philippine Stock Exchange will extend trading hours by October this year as it prepares to be linked with other Southeast Asian bourses next year, its president Hans Sicat said Wednesday. Sicat said the PSE board has approved the extension to align the local equities market with the rest of the world. He said by October, trading will start at 9:30 a.m. and end at 1 p.m., and this will be adjusted to 3:30 p.m. by January 2012. Currently, stock market trading starts at 9:30 a.m. and ends at 12:10 p.m. If the plan pushes through, it will be the second time the PSE has extended its hours. It did so in 2002, aiming to be open when European markets opened. ^ no need to post my harmonic analysis. parehas tayo ng basa rider! PSEi Update... Share ko lang. If may makita kayong mali sa classical pattern please correct me. matagal ko na din kasi di nagagamit as TA. hehe.